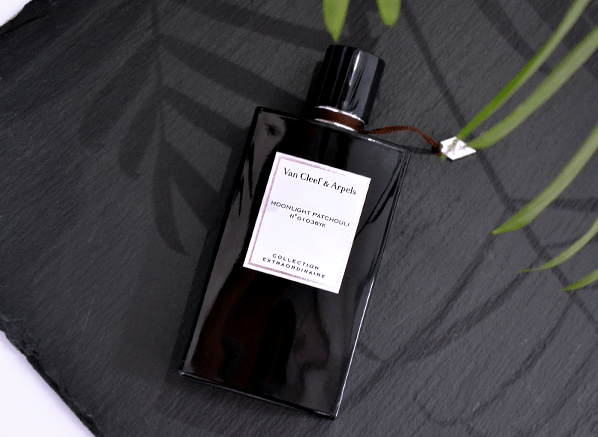 One of the brands Escentual turned me on to was Van Cleef & Arpels and more specifically, their more exclusive line of ‘Collection Extraordinaire’ fragrances. The scents within the collection are often modern takes on classic themes. I wouldn’t say that they are particularly innovative or weird, but many of them are beautiful and Moonlight Patchouli, the latest addition to the series, is no exception. Click here to read my full review of this gorgeous take on perfumery’s timeless lovers, rose and patchouli. Image via Escentual. Sample via Van Cleef & Arpels. I write for Escentual as their Fragrance Expert. My views are my own. Posted in Escentual, Van Cleef & Arpels and tagged Collection Extraordinaire, Moonlight Patchouli, Perfume, Review, Van Cleef & Arpels. Bookmark the permalink.